But I know a good idea when I see it. Since you know that my birthday is coming up I was trying to think of a way to get all of you guys involved. 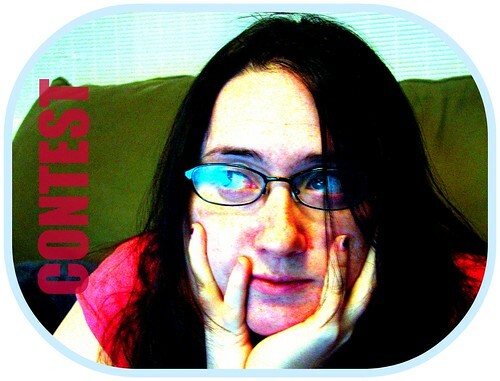 Please submit via email hismuse (at) gmail (dot) com your entry and I’ll pick what I deem the best one. The winning entry will be posted on my birthday Tuesday February 19th. Your entry should be about me and I don’t care if it’s factual or exaggerated, I’m looking for creativity. There are oodles of pictures of me on my flickr account if you need them. It can be a video, graphic, post, riddle, poem or anything you can think of, be creative. Whoever has the best will win a prize although I haven’t decided what that will be yet but since it will be from me it will be totally worth it. You have until Sunday February 17th to give me your idea. Mr. Fabulous’s last blog post..Let’s not be all wordy today? Absolutely. They’ll all probably make it on my blog over the week but the best one will be on my birthday. Okay, I have a followup question. I have two ideas. One of them, however, will probably be my guest post on Monday. Will that disqualify it from being an entry? Mr. Fabulous’s last blog post..Are animal rights as important as human rights? Nah, go for it. I’m not sure many people are going to do the contest anyway so have at it. Okay. I will be thinking and will get it to you. The Absurdist’s last blog post..What the Meme? I’ve got something in mind. Absurdist – Don’t think too hard, we don’t want you to hurt yourself again. Absurdist – Well somebody has to!